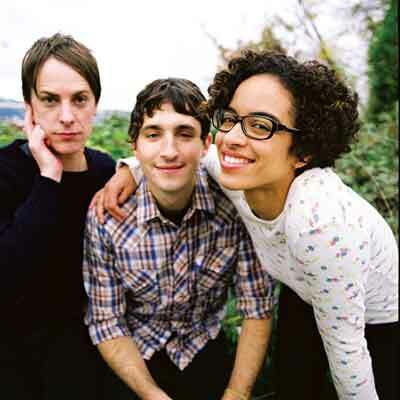 May 31 The Thermals with Little Brazil and Morning Teleportation The Waiting Room, 6212 Maple St. 9 p.m., tickets are $10 ADV/$12 DOS onepercentproductions.com Over the years, The Thermals have survived several incarnations with a revolving door of members. The Portland-based group has solidified their lineup as a power-trio consisting of bassist Kathy Foster, vocalist/guitarist Hutch Harris and drummer Westin Glass. The raw, pop-punk that emanates from the demure group is packed with an infectious energy that carries throughout the entire album of Personal Life, The Thermals’ latest and fifth official full-length. Personal Life spans the spectrum with powerful, unrelenting riffs and more mellow ballads while never losing the punk aesthetic. They do things on their own terms and refuse to be tied down by some massive label that milks them for every cent. They certainly have had major label interest, but their loyalty to the Northwest and strict D-I-Y standards are testaments to their genuine understanding of punk ethics. “We just wanted to keep making music and never really had any high expectations in terms of career goals,“ Harris says. “The idea was to quit our jobs and we did, which was rad. I actually worry about getting too big. It can kill a lot of people’s careers.“ So far, so good.